MLD is a massage technique developed by Danish physical therapists Dr Emil Vodder and his wife Estrid in the 1930s. They identified the importance of the lymphatic system and devised treatments for the whole body to alleviate swelling and congestion. Hildegard Wittlinger from the Dr Vodder School in Austria and her team have continued to develop and refine his system. MLD is a specialised massage technique, utilising precise, light, rhythmical hand movements which gently stretch the skin in circular motions along the lymphatic pathways. This pumping movement stimulates flow in the lymph vessels and encourages the uptake of fluid from the tissues into the lymphatic system. The fluid drains through the lymph nodes where it is filtered and cleansed of dead cells, bacteria and other waste products before being returned to the blood stream. Deep Oscillation Massage Therapy originated in Germany in 1988 and uses the Hivamat® machine to create low frequencies of gentle electrostatic impulses or oscillations which have a gentle and deep-acting effect on all tissue components to an 8 cm depth (through skin, connective tissue, subcutaneous fat, muscles, blood and lymph vessels). Scientifically researched frequencies (between 5-200 times per second) have been proven to remove excess inflammation caused by waste products, protein solids and lymph fluid build up; leaving your skin tissue to heal naturally and rapidly. Deep oscillation therapy is applied by the therapist to patient/client via hygienic, vinyl gloved hands, utilizing all normal massage movements or via circular movements over the tissue with a handheld applicator. The gentle vibrations feel very relaxing and because of the non-invasive, non-traumatic, gentle nature of this therapy, it can be used soon after surgery or trauma. It has also been proved effective in the treatment of chronic conditions with good results. During the first session a full medical history is taken and the condition is assessed before a treatment plan is put together and agreed with the client. I am now using a combination of MLD and Deep Oscillation Therapy to treat lymphoedema. 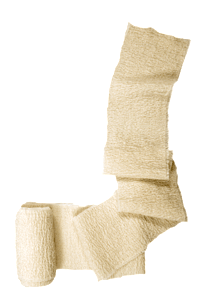 It is recommended that several treatments are done very close together with bandaging to drastically reduce limb volume and improve the shape of the limb. Thereafter maintenance treatments are recommended with compression garments. A home maintenance programme is given to each patient. During a treatment only some clothing needs to be removed and the massage is carried out in a warm, safe environment.